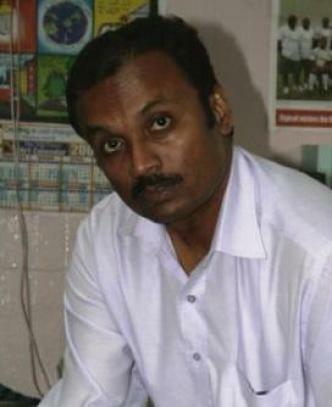 FIJI police have picked up the news editor of the Fiji web news pioneering agency Fijilive, Richard Naidu, for questioning – and then released him. State-owned Fiji Broadcasting Corporation News reported that he was questioned over a story that was published by the online news agency on Thursday. Criminal Investigations Department (CID) director Adi Sen was quoted as saying the police questioned Naidu overnight and released him at about 11am Saturday. Naidu was reportedly questioned over a story alleging the suspension of the Police Commissioner Commodore Esala Teleni, a story the police say was incorrect. The questioning happened on the same day that the regime announced the news organisations that have been registered under the new Media Decree – minus Fijilive. Related, or did Fijilive simply fail to meet the deadline? Fijilive was offline all weekend but resumed publication again on Monday, August 2, without explanation. The regime denied any responsibility for the Fijilive "whiteout". Active Media, ALSA Ltd as Mai Life Magazine, Bula Namaste, Communications Fiji Ltd, Fiji Broadcasting Corporation, Fiji Sun, Fiji Times, Fiji TV, Half Times Publications, Islands Business, Mai TV and Sporting Pulse. The membership of the new Media Industry Development Authority, also announced by Sayed-Khaiyum, is intriguing. It includes several strong civil society advocates for a more “responsible” news media and several literary figures. One thing they can be counted on is to be committed to working towards a higher quality media for Fiji. It also includes the manager of a Suva-based regional news organisation widely accused of failing to defend Pacific media freedoms by staying in Fiji and "kowtowing" to the regime. Highly respected author and academic Professor Subramani is now the chairman of authority, replacing Satendra Nandan who withdrew over health issues. Pacific Islands News Association (PINA) manager Matai Akauola is also a member of the authority, as well as the Solicitor General Christopher Pryde. The other three members are: Aselika Uluilakeba, representing the interests of the children; Peni Moore representing women’s interests; and Jimaima Schultz, representing consumer interests. We pay every week with the life of a reporter, a cameraman and a support worker and the world barely notices. The abuses of civil liberties and denial of human rights f or journalists varies dramatically from country to country. Everyone in the world is impacted each time a reporter is imprisoned or a blogger is censored. We are beginning principal filming and we are hoping that you can aid us in tracking down images and/or footage of the Fiji Times on the instances that the newspaper was forced to replace its articles with blank spaces as in the image attached. Printed or high quality digital copies, if available, would help us immensely. As countries restrict news, they restrict information that is important to all. This film aims to address the dangers faced by journalists today and why these dangers exist, as well as raise public consciousness about the deadly cost of news in today's society. We hope you can aid us in the completion of this film. We will be honored to give you due credit in our film for your participation. If you need more information regarding the documentary please let me know. You can also visit our website for more information on all of our documentary projects. 'Radio Free Fiji' - radio plan or pipedream? MEDIA reports in the past few days have featured the idea of a pirate radio to breach Fiji's news media blackout. Usaia Waqatairewa of the Australian-based Fiji Democracy and Freedom Movement has floated the idea of broadcasting "uncensored" news and music programmes to Fijian radio listeners from the safety of a 'pirate radio' ship anchored in international waters near Fiji. 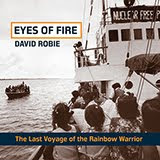 According to the Radio Heritage Foundation - which maintains an extensive database of Pacific radio broadcasters believes - this is the first proposed "pirate radio" station in the South Pacific since landbased Radio Tanafo and Radio Vemerama hit the headlines from Vanuatu several decades ago. 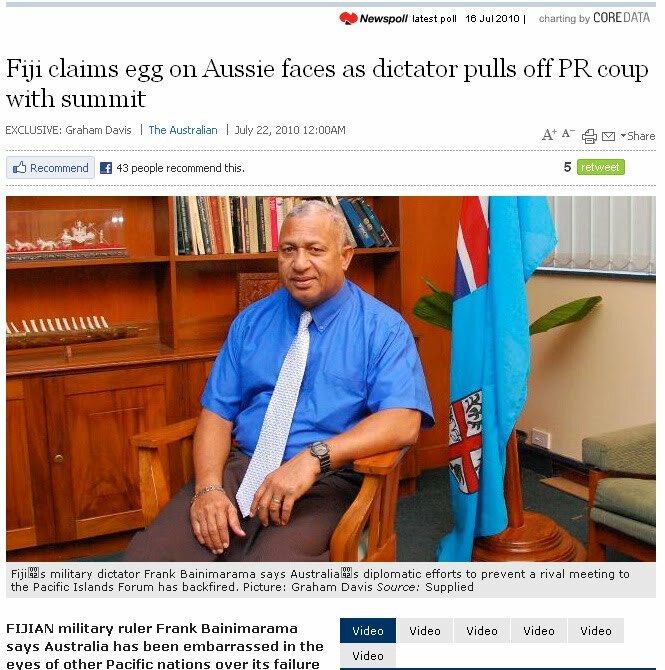 Ironically, this news has just come when Voreqe Bainimarama has been claiming a huge "egg on their face" PR coup over Australia and New Zealand with his "engagement with the Pacific" summit in Natadola - featured in the exclusive print and video reports by Fiji-born investigative journalist Graham Davis in The Australian. Interviewed on Radio Australia's Pacific Beat programme and also reported in The Australian newspaper this week, Waqatairewa says that starting such a new radio station would help Fijians obtain a different perspective on events in Fiji where a recent media decree has tightened restrictions on media ownership and cemented ongoing censorship of news reporting and the broadcast of some banned pop songs. Recent reports have discussions underway with the owners of a Dutch radio ship that could be repositioned to the South Pacific to broadcast on AM and FM to the scattered islands of Fiji. Waqatairewa says: "Sure, the dictatorship might try to jam us, but we would certainly move frequencies. The ship need only be a floating transmitter because we could send the signal from Australia on a live stream over the net. It would not be difficult to do." 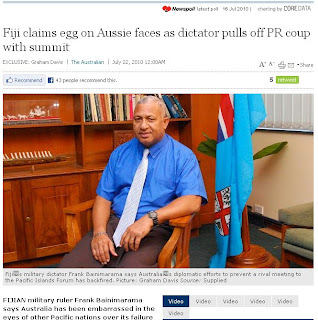 A review of Fiji news websites, including Radio Fiji, Communications Fiji, Fiji Times, Fiji Sun, Fiji Daily Post and www.fijilive.com reveals no reference to the remarks by Waqatairewa. However, the personal Facebook page for Commodore Bainimarama, the Fijian government leader is more revealing on the subject. Not only is the pirate radio proposal mentioned, there is even a direct link to Radio Australia's Pacific Beat interview with Waqatairewa. A revealing comment is also attributed to Commodore Bainimarama himself - "our favourite former resident Usaia Waqatairewa wants to set up a pirate radio station in international waters around Fiji and play banned pop music". The Facebook page includes a range of responses from readers such as "Just another project that will go bust"......."We've got more than enough radio stations here in Fiji"....."Sounds like a brilliant idea but wrong time, wrong situation"......."What a waste of money. Any investors must be mad"....and chillingly, "I wonder how his kin folks are feeling for they could be classified as persons of interest to our security personnel". Waqatairewa is the former deputy director of the Fiji Human Rights Commission and now resides in Sydney where he is president of the Fiji Democracy and Freedom Movement. He claims his organisation has been in contact with News Limited which is owned by Rupert Murdoch, the global media billionaire and which also owns the Fiji Times newspaper which is now for sale to comply with a recent media ownership decree. Pro-democracy blog Fijitoday has a recent headline "When Will Murdoch Bring His Big Guns to Bear" and observes "It's not just the media he owns. It's billions of dollars he has at his disposal and the human resources he can muster and deploy to make things happen." Fijian radio listeners will know in the weeks and months ahead whether Murdoch will use some of those dollars and human resources to bankroll the floating pirate radio station that Waqatairewa's organisation is suggesting. In the meantime, the Fiji government has since announced a new decree requiring the registration of every telephone in the country within the next 30 days or owners face fines of up to F$10,000 or six months in jail. Many Fijians now use mobile phones for cheap local calls, phone banking, and, of course, listening to the many popular local FM radio stations currently on the air. If a "Radio Free Fiji" does float onto the Fijian airwaves, there may be many listeners nervous about tuning in with their mobile phone FM receivers if the state has their photo ID, date-of-birth, home address and name on a central database. THE PUBLISHER of all three major newspapers in West Papua is barely known in this part of the Pacific. Yet the Jawa Pos group is the largest media chain in Indonesia with 140 titles and 20 television stations under the “grand pen” umbrella. Some brand Dahlan Iskan as a sort of Indonesian Rupert Murdoch entrepreneurial character, a former journalist who took control of the Jawa Pos in the eastern Javanese city of Surabaya in 1982 and within five years had transformed the ailing daily – then selling a mere 6000 copies – into a thriving major newspaper with a circulation of more than 300,000. Since then, the newspaper’s daily sales have rocketed to more than 500,000 – more than double the circulation of the New Zealand Herald, for example. As well as an expanding multimedia empire – it is totally dominant in the country’s second largest city and also challenging Kompas in the capital of Jakarta – Iskan has also developed the Jawa Pos network, established an independent newsprint mill and power plants and erected skyscrapers in Surabaya, Jakarta, Makassar and other Indonesian cities. The three dailies in West Papua owned by the Jawa Pos group are the Cenderawasih Post in Jayapura, Radar Sorong and Radar Timika, published in the town near the controversial Freeport McMoRan copper and gold mine. 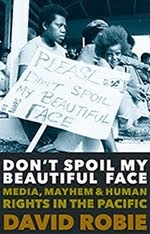 A self-taught publisher and journalist – he never graduated from a journalism or communication studies school, Iskan kicked off his media career at the age of 24 in 1975. His first newspaper job was with a small local paper in Samarinda, East Kalimantan. The following year, he joined Tempo news magazine and his career took off. Appointed as head of bureau by Tempo in Surabaya, East Java, he was later named by the magazine publisher PT Grafiti Pers as head of the Jawa Pos when Tempo took over the newspaper. What is the secret of Iskan's success? Many Western newspaper editors with plunging circulations would love to know this. Café Pacific put this to the current Jawa Pos editor in a recent chat in the newspaper’s vast and impressive convergent newsroom. Leak Kustiya says Iskan has an astute knack of keeping his finger on the youth pulse in all the cities and towns where he publishes and broadcasts. 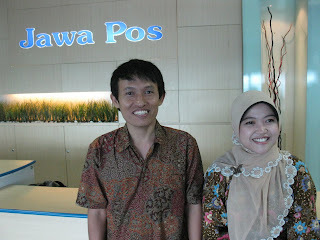 “The Jawa Pos group is constantly introducing fresh ideas and isn’t afraid to appoint young guns to key jobs. Most chief editors are under 40,” he says. Leak Kustiya is himself an example of the innovative approach to publishing. He is a former influential political cartoonist, possibly the first cartoonist to become an editor of a major daily in the Asia-Pacific region. Jawa Pos was the first newspaper in Indonesia – perhaps globally – to launch a special interest section for youth every day. DeTeksi was founded in 2000 and has grown enormously in the past decade. The average age of the DetEksi editorial team is 20 + - and many of the reporters, photographers and designers are students. Jawa Pos also has a special daily section for “new families” – newly weds or couples with children aged under 10 (Nouvelle) and Life Begins at 50 caters for the growing older age group. The paper’s slogan is “Selalu ada yang baru” – We always have something new. Another key string to the Jawa Pos bow is being part of the community and the newspaper launched the Development Basketball League (DBL), Indonesia’s biggest student competition; built a stadium next door to the Surabaya newspaper office; and promoted environment and social campaigns. Instead of looking to Australia and New Zealand for media inspiration with tired models, Pacific media should be looking to the achievements of its Asia-Pacific neighbours such as at the Jawa Pos. Inspiring indeed. Pictures: Top to bottom: DetEksi to the rescue for Surabaya's youth market; entrepreneurial Indonesian publisher Dahlan Iskan; and Jawa Pos editor Leak Kustiya with Airlangga communications graduate Nur Dheny (Photo: David Robie). ALAN HICKLING is the other Australian owner of a Fiji newspaper. But unlike his competitor, Rupert Murdoch, the little-known Hickling is no media scion. Six years ago, the Melbourne businessman became the majority owner of the Fiji Daily Post ''by accident'' after visiting the country to train aged-care nurses for a church group. The father-in-law of his friend, Dr Robert Wolfgramm, a Monash University academic born in Fiji, wanted to take over the business. When the previous owners agreed to part with the paper for ''a token gesture,'' Hickling agreed to back them. Doing due diligence after the sale, they were ''gobsmacked'' to find a $1 million injection of government funds had been embezzled. ''It was never my intention to make money,'' Hickling, who now owns 80 percent of the newspaper, said. Today, their lawsuit is stalled in Fiji's unstable court system and the paper's operations are suspended due to the military regime's Media Industry Development Decree, which this week required all Fiji media to be 90 per cent locally owned within three months. ''It's disappointing that the regime has taken this approach because we were quite supportive of the Fijian people and we are about creating jobs there,'' Hickling said. 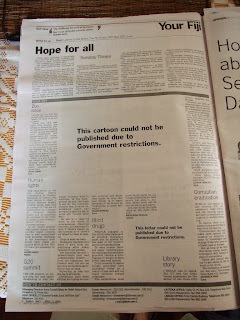 The Daily Post is 19 per cent-owned by the Fiji government. 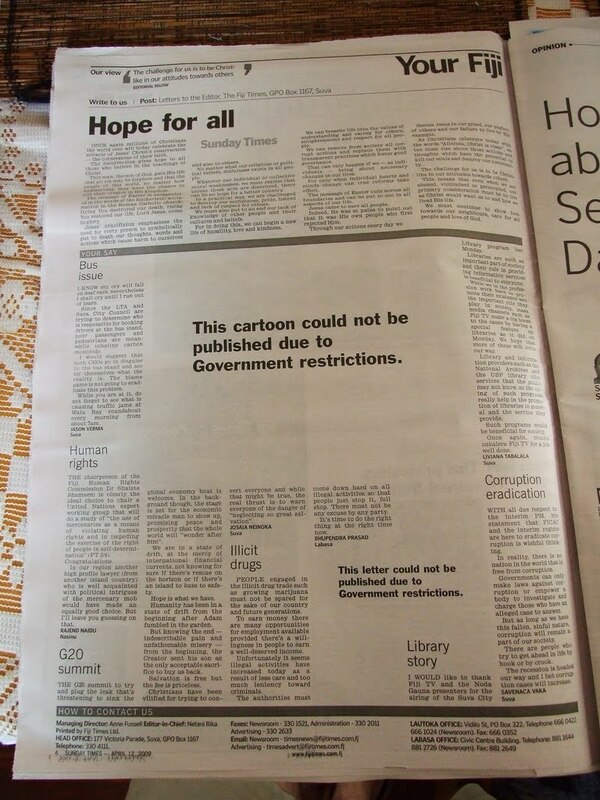 Murdoch's newspaper, The Fiji Times, also faces closure or an uncertain financial future. If both were to fold, they would leave only the locally-owned Fiji Sun - the organ generally considered to be closest to the military regime [New Zealand-born journalist Peter Lomas is publisher]. Sharon Smith-Johns, a former Fairfax sales executive and now Fiji's Permanent Secretary for Information, said this week that reaction to the decree had been ''sensationalised''. She denied it was designed to gag critical media. 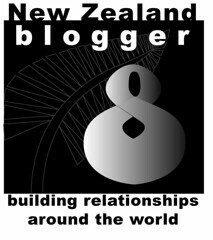 Smith-Johns left Fairfax and started an online women's magazine, SheSaid.com.au, in 1999, but sold her share after six months to be with her Fijian boyfriend, Billy. She has risen to be the military government's chief spin doctor and will have to enforce the new laws. ''She was always bloody driven … I can't imagine her wearing a sarong and drinking mai tais for the rest of her life,'' her former business partner, Monique Talbot, said.